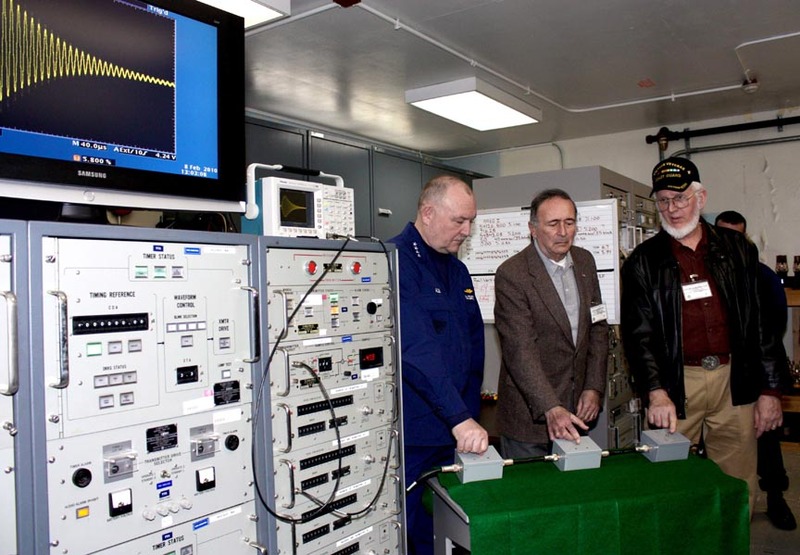 A new nonprofit has been launched to push for repurposing the United States’ old C-Loran infrastructure to support a new, privately funded Enhanced Loran (eLoran) service as a backup to GPS. The Resilient Navigation and Timing Foundation (RNT Foundation), headquartered in Alexandria, Virginia, was formed to support the creation of an Enhanced Loran or eLoran service, possibly through a public private partnership to be funded by the system’s users. ELoran, they said, is needed to provide a backup to GPS, a key element of the nation’s critical infrastructure that is increasingly at risk. “The Department of Homeland Security has determined that the GPS timing signal is essential for the operation of 11 of the nation’s 16 critical infrastructure sectors; all sectors use GPS information in some form. The number of jamming and spoofing incidents in the US continues to grow each year and the threat to our national, homeland and economic security increases,” the RNT Foundation wrote in a white paper released Wednesday (November 6, 2013). The need for some sort of secondary system was underscored by a Government Accountability Office report, also released Wednesday, that said federal agencies have failed to do enough to backup the GPS system and mitigate disruptions. Goward recently retired from the U.S. Coast Guard where he was director for Marine Transportation Systems. He served more than 40 years in the Coast Guard, both in uniform and as a civilian, and led delegations to several international organizations as the nation’s maritime navigation authority. Joining Goward at the foundation as vice president is Martin Faga, a former CEO of MITRE Corporation and a past assistant secretary of the Air Force. “Our society has become dependent on navigation and timing systems, requiring a robust backup to our primary Global Navigation Space Systems, like GPS and others,” Faga said in the organization’s announcement. 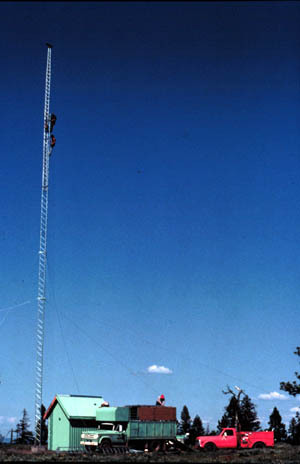 Loran, shorthand for LOng RAnge Navigation, is a network of fixed, terrestrial radio beacons that broadcasts signals centered on 100kHz. This is a far lower frequency than that used by the GPS system, meaning Loran signals will not be interfered with by a jammer targeting GPS signals. Loran signals are also far more powerful, 1.3 million times stronger on average, said Goward — which means they can be used indoors, underground, and under water. Proponents insist that eLoran can be a fully independent source of positioning and timing signals and a backup to GPS if it were disrupted. ELoran, which is in use in several nations around the world, has proven itself to be a reliable backup, proponents say. “The British system has shown that the technology is more than mature. The South Koreans — the (request for proposals) to build their system closes on the 13th of this month — they do not see it as developmental; they see it as current market technology. As do apparently the Saudis and the Indians who are also looking to contract for systems,” said Goward. 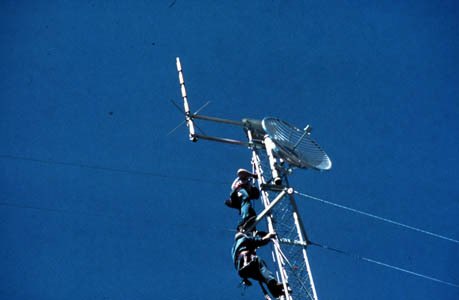 At one point, the United States was also going to establish an eLoran network and spent some $160 million to upgrade the existing C-Loran beacons, before changing direction. Shortly after it came into office, the Obama administration decided to terminate the U.S. program, possibly as a cost-saving measure. It ceased operation early in 2010. Resurrecting plans for eLoran in the United States would give the country a separate system with 8-10 meter navigation accuracy and time accuracy of better than 50 nanoseconds, said the foundation’s white paper. The system could be built in the continental U.S. in three years for about $40 million with usable signals potentially available within the first year of operation. The cost to run the systems would be about $16 million a year, the organization estimated. To finance the system the foundation is proposing a public-private partnership (P3) be formed to take over the existing Loran sites and convert then to eLoran service. Revenue could come from carrying high-priority, critical text messages for a fee or contracting with companies or government agencies to use eLoran to detect GPS interference. The P3 could also charge for a high-accuracy timing service that provides precision users with timing signals as accurate as 30 nanoseconds. Among the other ideas are a $1 tax on each standalone or integrated eLoran and satellite navigation receiver sold — which could generate $20 million annually in the United States and “fund operation of the entire system” according to the white paper. A temporary eight-cent fee on every monthly U.S. cell phone and electric bill could, in one year, provide enough funding to endow the P3 in perpetuity. “All of those are just possible funding ideas. We think there are many ways that the public-private partnership could be funded with no direct cost to the taxpayer,” Goward told Inside GNSS. Whether or not the foundation would be part of the public-private partnership is to be determined. “The important thing is to get these things done. Whether we are part of the partnership or not, or we just advocate for the partnership – as long as the end result is that the U.S. gets the system and the resiliency that we need to protect our critical infrastructure and ensure our citizens are safe we’ll consider it a job well done,” Goward said. One company that would like to be part of the public-private partnership is UrsaNav, Inc., of Chesapeake, Va. The firm is already among the supporters of the foundation and has provided some financial backing, said Schue. The opportunity could be lost if there is no action soon, he added. The government plans to take down more antennas in December and still more in March 2104, he said. Getting a decision on the sites, however, may not be easy.